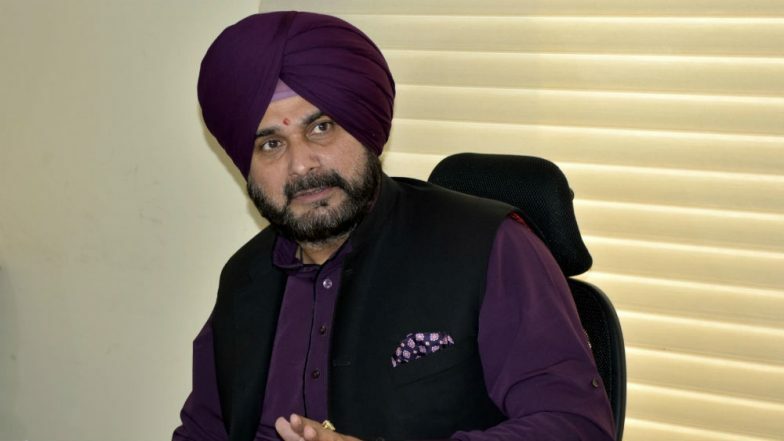 Chandigarh, April 11: Punjab minister Navjot Singh Sidhu, speaking in Chandigarh to reporters, questioned Prime Minister Narendra Modi's "Main Bhi Chowkidar" campaign and said that while other countries are busy making progress, we are encouraging people to become "chowkidars" and that too "chor chowkidars." The controversial comment by Sidhu comes on the day of first phase of voting across India for Lok Sabha Elections 2019. Navjot Singh Sidhu Gets Positive Response From Imran Khan, Pakistan to Not Build Structures Near Kartarpur Sahib Gurudwara. Sidhu in his comment said that while China, America and Russia are busy in exploring more complex issues and topics related to science and artificial development, the government in India started a chowkidar campaign. Navjot Singh Sidhu To Be Fired From The Kapil Sharma Show Over His Pulwama Attack Statements! #BoycottSidhu Becomes The Top Trend On Twitter! Sidhu said that while "China is constructing a rail line under water, America is busy searching for life on Mars and Russia in quest of building a robotic army, and you are busy making them a chowkidar and that too a robber." Sidhu is known for his sharp tongue and strong comments. He never shies away from taking questions. However, his views have also landed him in trouble in recent times, especially his comment on Pakistan's role in Pulwama terror attack. Sidhu in the past has also commented on Punjab chief minister and senior Congress leader Captain Amarinder Singh, due to which he has had to face opposition from his own party.